These free printable worksheets will help you plan tracking and sending activities for your SaaS product (following the best practices). Join our mailing list below, and we'll send you a free copy of planning worksheets immediately (12 pages, printable PDF). 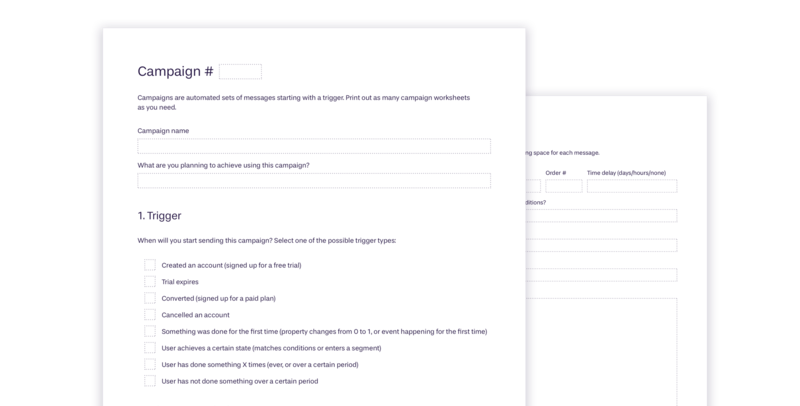 You'll figure out what events and properties to track, and what triggers to use for your behavior-driven campaigns.